Now talks in the tinsel town suggest that P Vasu might be bringing his recent Kannada hit Shivalinga as Chandramukhi 2 to Tamil. There are also reports that Vedhika who was the heroine in Shivalinga may be reprising her role in the Tamil version too. Earlier on we had reported that Lawrence has been approached to do Chandramukhi 2. Now we hear that Vadivelu may join Lawrence for this venture. Exclusive: Vadivelu to don the comedian hat again for Vishal! Actor Sakthi to play the second lead in Chandramukhi 2? Raghava Lawrence and Anushka for Chandramukhi 2? Director Shankar and Vadivelu again? Breaking: Chandramukhi 2 on cards? Tough fight for Vadivelu from this actress! CINEMA & TOILET - What's the connect? Vadivelu - "They all fooled us!" This page hosts a weekly slideshow related to Tamil movies. Each slide includes a picture and some description about that picture. All the slides will have a recurring theme. People looking for actress stills, actress images, actor stills, actor images, movie stills, movie images, and other interesting topics, relevant issues in Tamil cinema will find this page useful. VADIVELU IN CHANDRAMUKHI 2? 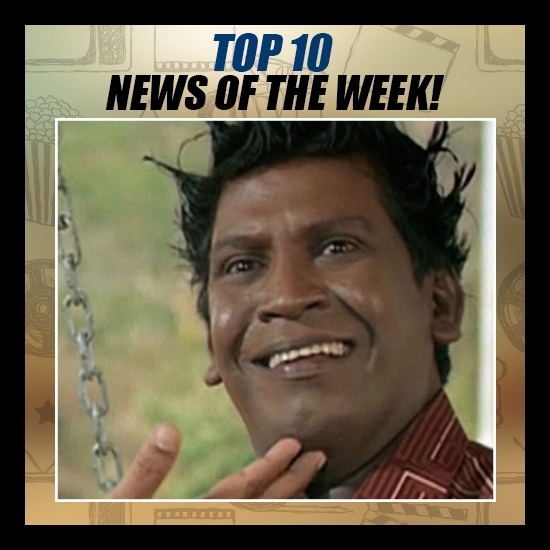 | TOP 10 NEWS OF THE WEEK (MAY 8 - MAY 14).